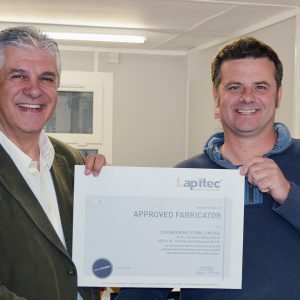 Chris Athanasi the UK fabricator accounts manager for Lapitec® recently visited Cranbourne Stone Ltd, to present Director and owner Howard Stanfield with there ‘Lapitec® Approved Fabricator’ certificate. What does all this mean….? Only companies completing a training course at the Lapitec® head quarters at Treviso in Italy can be awarded the Approved Status. The training course provides an understanding of how the material should be worked, its properties and capabilities – a must for fabricators. 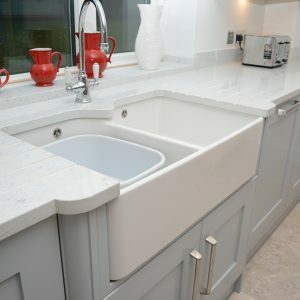 Since becoming approved, Cranbourne Stone Ltd has embarked on a very nice kitchen project which included – several kitchen worktops, up-stands and window sills. 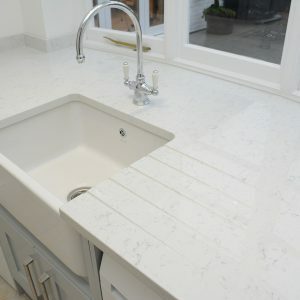 The Lapitec® products are a full bodied material and has fantastic resistance to wear, heat, moisture and acids, making it the perfect choice for those wanting only the very best in materials that will look great for many years to come. 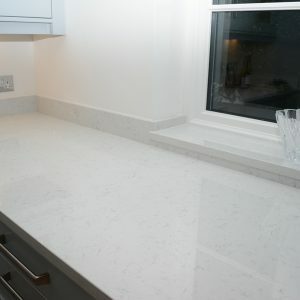 For more information on the Lapitec® products, please contact Cranbourne Stone Ltd direct.